Jacques Lasry, very much an avant-garde musician in the ‘roaring’ 1950s in Paris, was Michèle Arnaud’s piano accompanist on stage. 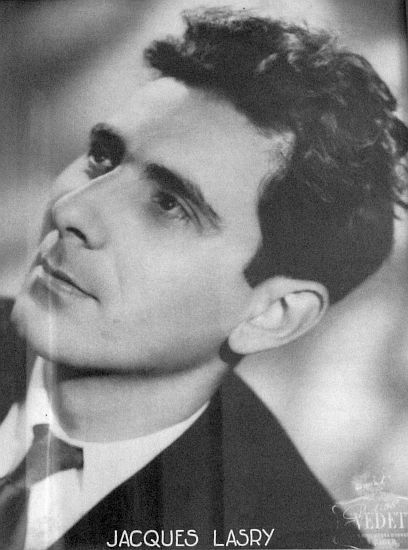 When Arnaud received the invitation to represent Luxembourg in the first-ever Eurovision Song Contest in 1956, Lasry wrote the orchestration to her two songs, ‘Ne crois pas’ and ‘Les amants de minuit’; moreover, he accompanied her to the Eurovision final in Lugano (Switzerland) to conduct the orchestra for both of these entries. All of Jacques’ ambitions were cut short by the Second World War and the German invasion of France. When the German forces occupied Paris in June ’40, Jacques, his mother, and his girlfriend fled the capital, reaching the Riviera by bike, upon which they managed to catch a boat which brought them to Alger. The family spent the entire war in Algeria, where Jacques continued his studied individually and taught piano lessons to make ends meet. During these same years, Jacques and Yvonne married, with Yvonne converting to Judaism. The couple had three children: Teddy, Claude, and Stany, all of whom were to find their way in the world of music and art. Immediately after the end of the war, the family returned to France on a French bomber aircraft. The first years after the war were marred by legal problems, as the family had to go to court to get the apartment back which Jacques and his mother inhabited before the war. Back in Paris in 1949, Lasry was invited to work as a piano accompanist at the Milord d’Arsouille, a so-called cabaret littéraire, where poets and avant-garde artists were given the opportunity to present their work to a progressively-minded audience. Léo Ferré and Francis Lemarque made their debut in the Milord. Lasry accompanied a string of chansonniers, such as Michèle Arnaud, the wife of owner Francis Claude, as well as a very young Serge Gainsbourg. Charlie Chaplin, who attended a night of entertainment at the cabaret, was so impressed by Lasry’s ability to improvise that he wanted him to become his accompanist, but the pianist politely refused. In the 1950s, Lasry occasionally worked as an arranger and conductor for studio sessions as well, mainly recording with artists he accompanied on the Milord stage, most importantly Michèle Arnaud and Renée Lebas. 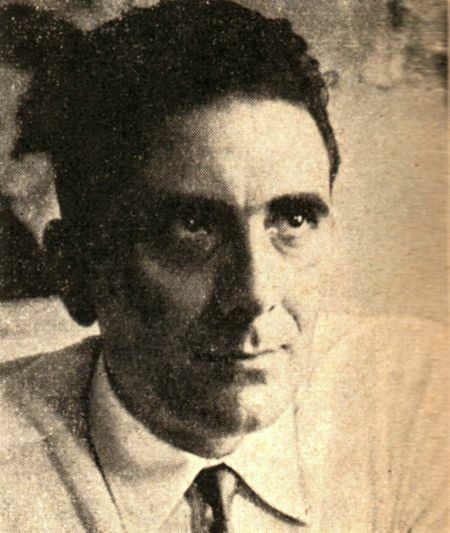 Although he worked primarily as an accompanist and arranger, Lasry occasionally composed chansons himself, including ‘Le Pont Mirabeau’, originally a poem of Guillaume Apollinaire, which was recorded by Michèle Arnaud in 1957. In 1954, Jacques met François Baschet, the inventor of the guitare pneumatique, a guitar with a balloon instead of a sound box attached to the neck. In ’52, Baschet, who was about to undertake a world journey, had designed this inflatable guitar because he thought a real one took too much space in his suitcase. Back in Paris, he began playing in cabarets, including the Milord d’Arsouille, where he entertained the audience with parodies of well-known songs. Although their personalities were fundamentally different, François and Jacques became friends. 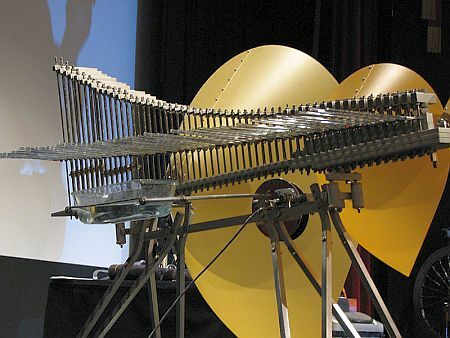 With the help of Yvonne, the two men set about designing and building another totally new instrument, the Cristal, a metal construction which produces sound from oscillating glass-cylinders. With François’ older brother Bernard, who was not a musician and whose role was merely administrative, Jacques, Yvonne, and François formed the quartet Les Structures Sonores Lasry-Baschet, the Lasry-Baschet Sound Structures. The quartet started giving concerts of its unique music, initially in Parisian avant-garde circles only, but later for a wider audience as well. In 1954, the group recorded its first of several albums, ‘Chronophagie’, with all compositions and arrangements by Jacques Lasry; in the 1960s, this LP was rerecorded and released internationally with an English title, ‘The Time Eaters’. The group was successful from the beginning onwards, as François Baschet explains on his website: “Our project caught on immediately. Electronic music was still in its infancy and our structures, with their resonators that produced long, mysterious tones, were deemed ‘cosmic’. It was the era of the launching of the first Russian Sputnik and every time a radio or television station wanted music for a science fiction programme, they came to us. Our biggest thrill was being asked by Jean Cocteau to do the music for his film, ‘Le Testament d’Orphée’ (1960)”. The soundtrack to this film was arranged by Jacques Lasry. From 1959 onwards, the group toured in France and abroad, performing with Yehudi Menuhin in London and roaming the universities in the United States on two concert tours in 1962. Still in the early 1960s, the group was booked on the highly popular Ed Sullivan Show in the USA on three occasions. On stage, the Lasry-Baschet combo was often accompanied by vocalists and different instrumentalists, usually including Jacques’ son Teddy on the clarinet. A unique INA film recording from 1961 about the Structures Sonores project. There are interviews with François Baschet and (starting at 5.44) with Jacques Lasry, as well as a demonstration by the two aforementioned musicians and Jacques' wife Yvonne. With the growing success of the Sound Structures project, Lasry was left with little time for other professional activities. 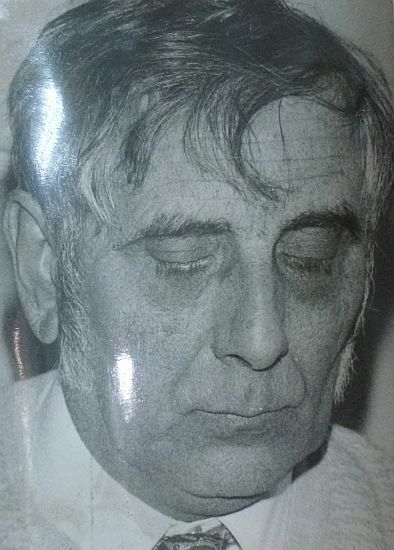 He quit the Milord d’Arsouille towards the end of the 1950s. Nevertheless, he made his mark in several other music projects, one of which was Francis Claude’s radio programme ‘Monsieur Flute s’en mêle’. For this show, comprising 39 broadcasts in 1957-’58 for France II, Lasry composed and arranged all music. Besides, he composed ballets for the theatre and penned the soundtracks for some films, such as ‘Le songe des chevaux sauvages’ (1960), ‘Le roi du village’ (1963), and ‘Elle est à tuer’ (1964), as well as for the 1958 documentary ‘Le foulard de Smyrne’. He also wrote the accompanying music to the records of Jacques Doyen, a narrator specializing in declaiming poems, as well as to some records with music for children. Moreover, he penned the arrangements to several chansons of Hélène Martin, of which the best-known is ‘Le condamné à mort’ from 1964. In 1968, Jacques Lasry decided to convert to Orthodox Judaism, as a consequence of which he ended all his professional activities, including his collaboration in the Sound Structures project. 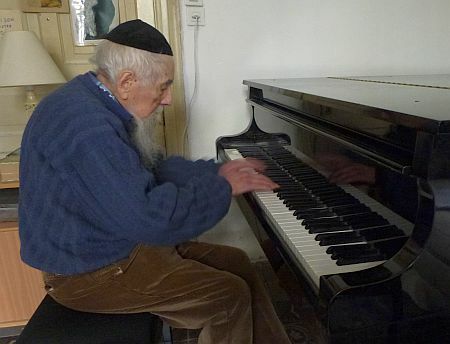 While he prepared moving to Israel by studying religion extensively, he taught piano lessons. In 1978, Jacques and Yvonne immigrated to Israel, where they settled down in Jerusalem. They took some of the Cristals with them, which were put on display in a three-month-exhibition in the Israel Museum in Jerusalem. In the very first Eurovision Song Contest, held in Lugano (Switzerland) in May 1956, seven countries participated, each submitting two entries to the competition. For reasons that will probably forever remain clouded, Luxembourg’s broadcaster CLT selected Parisian avant-garde songstress Michèle Arnaud (1919-1998) to represent the Grand-Duchy. The songs selected for her were ‘Ne crois pas’, an up-tempo effort with quite original lyrics warning young girls that their beauty will not last eternally, penned by an unknown songwriter called Christian Guittreau; and ‘Les amants de minuit’, a wonderful and quite complicated ballad with lyrics by Pierre Lambry and music by Simone Lorencin, a duo which regularly wrote material for Arnaud. Jacques Lasry took care of the arrangements for the studio recording these songs and also conducted the orchestra for both of Luxembourg’s entries in the contest in Lugano. Given the fact that the jury of this first Eurovision only announced the winning entry, Lys Assia’s ‘Refrain’ (representing Switzerland), it is unknown in which position the two Luxembourg songs finished. 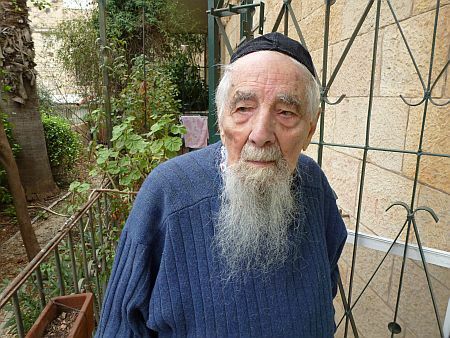 Bas Tukker interviewed Jacques and Yvonne Lasry in Jerusalem, December 2011. Many thanks to Amir Herschkovitsch for tracking down Jacques Lasry’s whereabouts in Israel. Many thanks to Jacques’ daughter Claude for the wealth of background information she provided us with. More information about François and Bernard Baschet, as well as the Cristal, can be found by visiting the websites of Bernard Baschet (www.baschet.org) and François Baschet (francois.baschet.free.fr).